Gaming outlets have always been an advertising-supported business — a revenue stream that has become substantially exclusive with the transition to online journalism. Working with small profit margins and with the bulk of advertising coming from game publishers, game journalism stands in a difficult-to-manage position, where the interests of their sponsors often go against those of their readers. 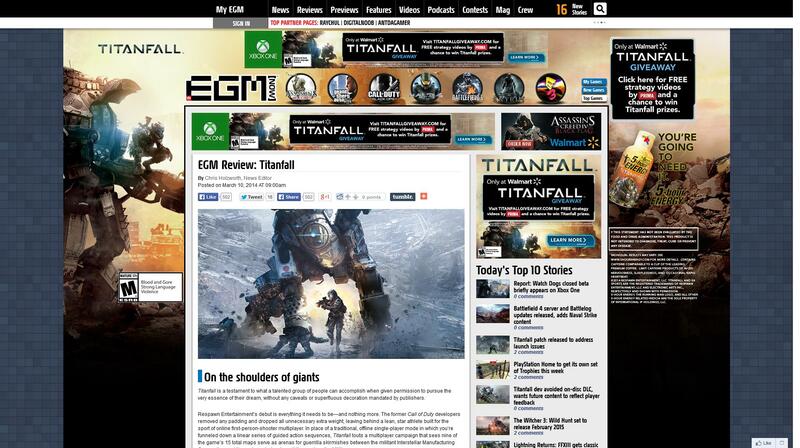 Advertising money has been the main tool among the many that publishers have used to pressure game journalists. Already in 1995 Amiga Power was noticing the problem, claiming game reviewers were very strongly influenced by PR people offering bribe-like gifts, and went soft on games to avoid creating bad blood with publishers. In 2005, then-Editor-in-Chief of EGM, Dan Hsu, stated that covers stories were basically on sale, in exchange for ads, at one unnamed EGM competitor — claiming that his company's publications had been pressured by publishers to “play ball” as well or they would've lost their ads. Over the years, many instances of publishers trying to propitiate, intimidate or otherwise pressure journalists have surfaced, giving the impression of a continuous struggle behind the scenes — where a lot of journalists have either been strongly influenced by publishers, or have had to fight very hard not to be. My industry pisses me off. that magazine's cover stories are for sale. Great. Recently, some publicists for another game company were lamenting the fact that they couldn't get any coverage on a certain, very high-profile website out there, because they weren't advertising with that site. To get stories written up on their games, they'd have to start spending the bucks. More editorial coverage for sale. Wonderful. Sadly, I’m not making this stuff up. Discussions of publisher-induced journalistic pressure normally start with review scores — with suspicions present since the dawn of specialist media and continuous scandals ever since diffusion of the Internet put writers under higher scrutiny. 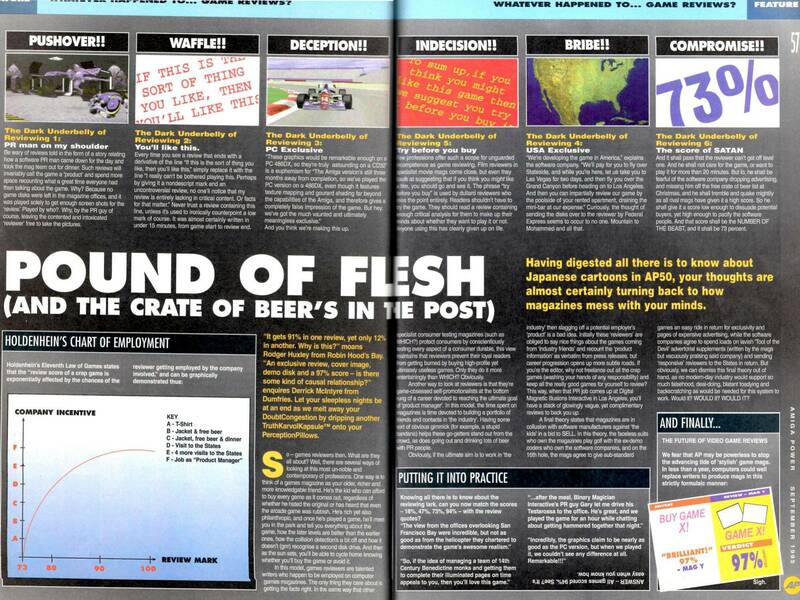 The oldest major scandals involving gaming journalism concern review scores — such as those surrounding 2004 game Driver 3, mostly recognized as fairly bad but sporting near-perfect 9.0 pre-release reviews by some Future Publishing outlets who omitted discussion of the game's buggy state following a partially admitted deal of exclusivity, and 2005 game Donkey Konga 2, where Gamespy’s editors altered the review without its author’s permission, changing the text and turning a negative 1.5/5 score into a much better 3/5. 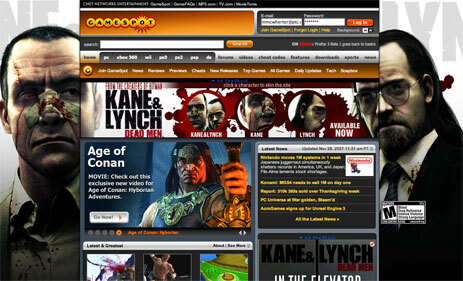 The likely best-known scandal in game journalism history also involves a review: in 2007, Gamespot fired its Editor-in-Chief Jeff Gerstmann following a low-scored review of Eidos game Kane & Lynch, at the time heavily advertised on the site, causing rampant speculation of pressure by the publishers that was confirmed by Gerstmann and Gamespot when his non-disclosure agreements expired. 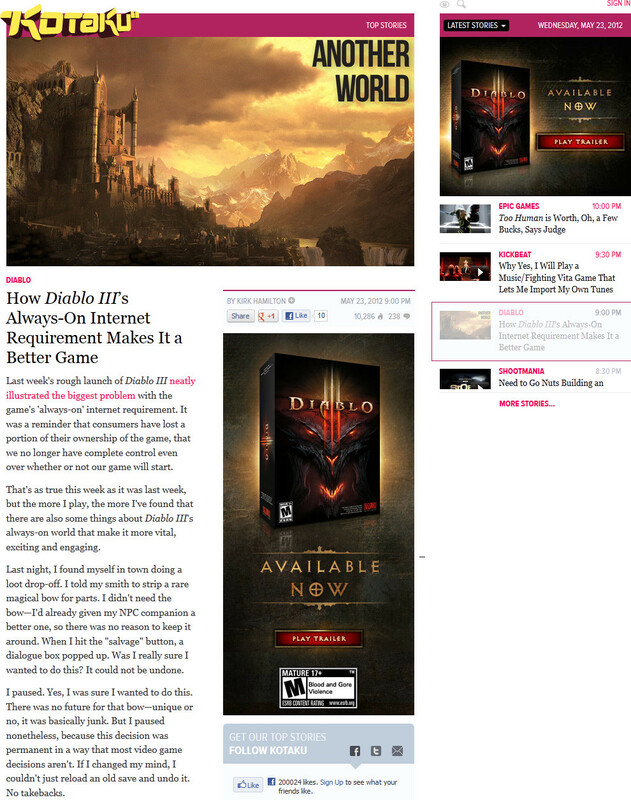 Scandals like these being frequent as they are, and review scores often showing comically large gaps between journalistic reviews and fan scores, accusations of bribery fly towards the press every time a positive review is accompanied by heavy advertising, as well as when this advertising accompanies unusual and advertiser-pandering opinions or downright insults to part of the audience. Although the sheer volume of some of these happenings makes it likely that some might be indeed inspired by the sponsors, it’s impossible to discern legitimate issues from false positives without direct evidence. Review copies from publishers frequently include some additional material with them, ranging from the novelty to the much more extravagant. The press kit from Halo 3 in 2007, for example, contained a new Xbox 360 with two controllers, a pedestal-mounted helmet of the game’s main character, among other things. Microsoft proved its generosity again in 2010, when a free Xbox 360 was given to every single journalist attending its E3 press show. These gifts appear to be a widespread practice. Ars Techica chronicled some of these homages (archive link), with the highlights being expensive swag like reproductions of an in game sword or a crate of stuffed animals, a $ 200.00 check and even a trip on the zero-G plane worth around $ 5,000.00. In 2012, Kotaku's Stephen Totilo came back on the topic (archive), stating he had to turn down or give away regular gifts from publishers, including things like a mini-surround system, a chess set and a trip to Disneyland. Totilo explains how complicated disposing ethically of this swag is, but despite the efforts of many outlets press swag occasionally finds its way on eBay, sold by former gaming journalists. Trips are a popular offer to game journalists — in 2010 luxurious accommodations (archive) were offered to reviewers of Call of Duty: Black Ops — and earlier, in 2008 Konami offered journalists a “boot camp” in Japan for Metal Gear Solid 4. Discussions of these pressures on journalists often clarify that these at least never go into outright bribery — a more precise statement would be that they don’t do so frequently. In 2012, Indie Game Magazine was caught asking for a $ 50 fee in exchange for a review, a policy that potentially affected a lot of coverage and has been swiftly abandoned. The person responsible for this decision, Chris Newton, wrote he made this decision because paid reviews were a diffused practice in the industry, and he was apparently sincere, as several small sites make it their official policy. In 2013, crowdfunding platform Patreon opened and soon became another source of financial conflicts of interest. Two weeks before the game's launch, I was flown from San Francisco to LAX; from there, I was driven to Santa Monica airport where I was given a flight helmet customized with my gamertag. I was then put into a helicopter and flown to Ojai, California, a small town about two hours north of Los Angeles. After landing in a field, I was driven to the Ojai Valley Inn and Spa, where I was given a posh suite to stay in for three days. The suite had a 360, a copy of the game, and a nice 3D television hooked up to a surround-sound system. There was a separate area with 30 stations set up so reviewers could try the multiplayer portion of the game. I was also given a Mad Catz Call of Duty Black Ops branded headset. At the end of the trip, I was allowed to keep the flight helmet and the Mad Catz headset. All travel and accommodations, including food, were covered by Activision. At the same time as the “boot camp” offer, Konami also reportedly asked not to mention the long installation times and cutscenes in Metal Gear Solid 4’s reviews — it should be noted that the full cutscene length totals over 8 hours, the game appears to have held the Guinnes world record for the longest individual cutscene at the time, and the installation times were fairly long, with a new installation taking place between chapters. This embargo has been confirmed by Stephen Totilo, who years later claimed that the refusal to adhere to this request may have caused an interview with the game's creator to be cancelled. A similar situation occurred in the same year concerning Eidos’ Tomb Rider Underworld (archive), with a publishing company representing Eidos asking outlets to hold back negative reviews of the game until a few days after the release — this coming after the previous year Eidos had been involved in the previously-mentioned Gamespot scandal following an average review of the game Kane & Lynch. Not deterred by journalists’ denouncing of Eidos, EA Norway in 2011 was caught distributing a survey on potential reviewers of Battlefield 3, with questions seemingly tailored to check if individual reviewers would be more likely to give the game a higher score — a survey which, after the backlash, EA stated had been sent due to “human error”.
] Should a press outlet actually decide that, hey, they'd rather actually decide for themselves what’s news, and maybe that event is some kind of horseshit thing they’d rather not attend, there can be repercussions for that too. 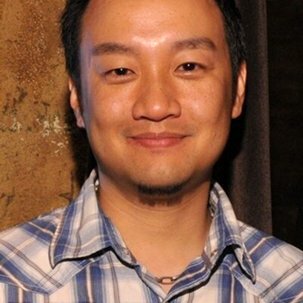 In 2008, Dan Hsu commented again on the subject of publisher pressure and noted how publishers had stepped up their game and now reacted to “less-than-totally-positive” reporting by outright denying coverage to outlets: “It’s an interesting setup: don't let us see the games, and we can't write anything bad about them”. He quoted Mortal Kombat’s developers, Ubisoft and Sony’s sports division as parties who had blacklisted EGM. 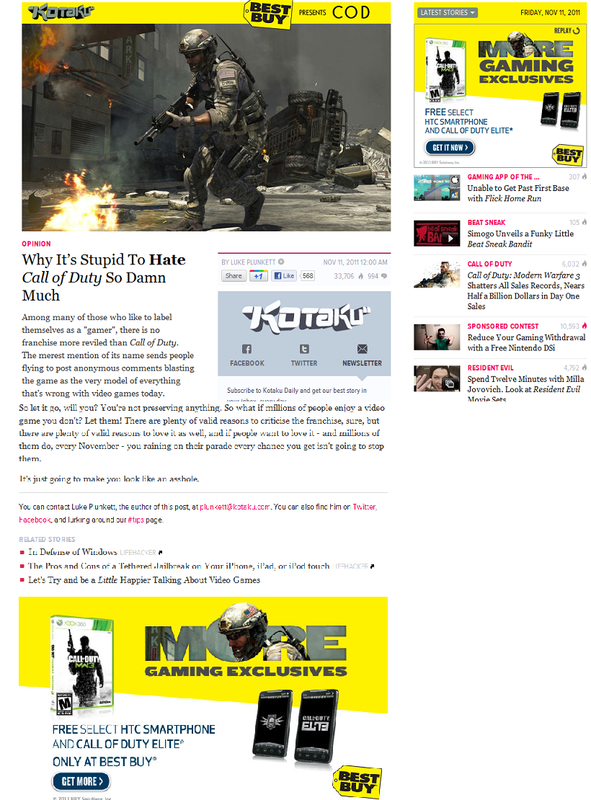 Sony had already been involved in the infamous blackballing of Kotaku in 2007. Following a later-proven-truthful leak, Kotaku ran a story about the upcoming Playstation Home despite Sony telling them that publishing it “could harm” their “professional relationship”, and was blacklisted from coverage as a consequence. 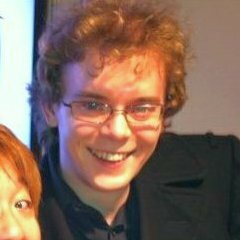 Kotaku immediately published the blacklisting letter, leading to backlash and reconciliation with Sony on the same day as the original article. Blacklisting was only threatened in 2011, when a PR company hired by 2K games publicly threatened to withdraw coverage (archive) from the outlets who “went too far” with their reviews of badly received game Duke Nukem Forever — once more, after outlets ran with this story and made it public the company made a quick apology. 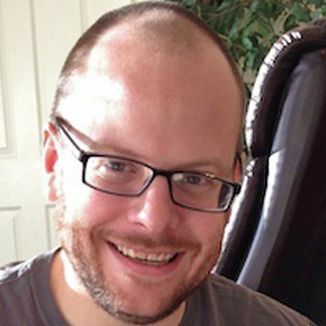 In his article on this scandal, Ben Kuchera, then at Ars Technica, mentioned blacklists to be fairly common (a thesis he still holds as of August 2015), while in the same year freelancer Richard Stanton stated in a then-retracted interview that advertisers “control everything” and his employer Future Publishing would’ve done anything to accommodate them. 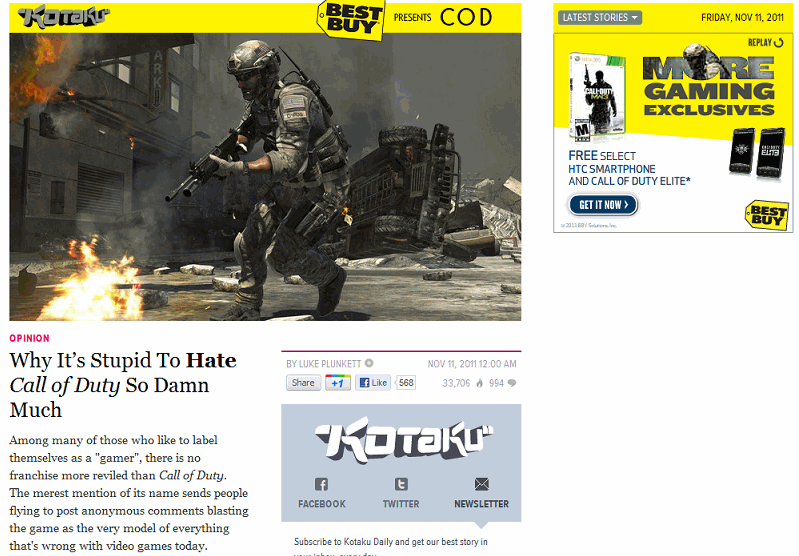 This pressure was seen firsthand again in 2012 when Gamesblog.fr was blacklisted (archive) by publisher Activision, which cancelled all their advertisement plans, review copies and invitations to events after they refused to pull a story leaking the upcoming sequel of, again, Call of Duty: Black Ops. That was hardly 2012’s best known gaming scandal. 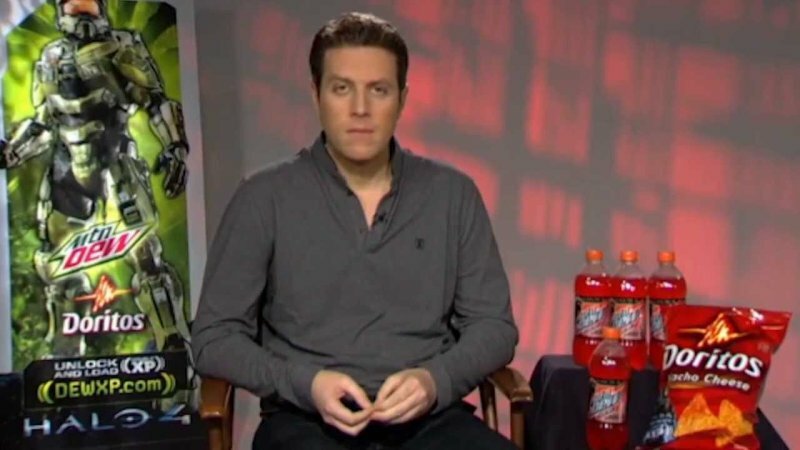 The DoritosGate scandal was popularly symbolized by the blank stare of game journalist Geoff Keighley being interviewed while surrounded by Doritos, Mountain Dew and promotional posters. It originated with an editorial written by Eurogamer columnist Rab Florence, which discussed the lack of ethical standards of the gaming press, and their excessively friendly relationship with game industry PR people. Florence’s article was mostly focused on the Games Media Awards—a UK event sponsored by game publishers where game journalists receive awards from PR representatives. A competition held at the 2012 GMAs awarded game journalists who advertised a certain game on Twitter a chance to win a Playstation 3, and Florence quoted in his article some game journalists who had defended this competition from accusations of bribery, and, without implying their guilt, argued that these journalists were hurting their credibility with this endorsement. 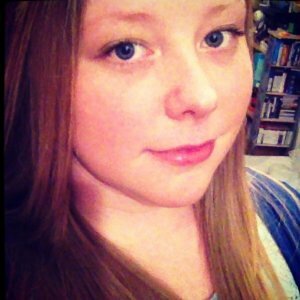 One of the journalists Florence quoted, Lauren Wainwright, threatened legal action. Eurogamer, in response, partially censored Florence’s piece, prompting his resignation and a very strong internet backlash against Wainwright. Wainwright, an enthusiastic fan of the video game Tomb Raider, was discovered to have listed work with the game’s publisher Square Enix in her resume (references to which she deleted), and to have written reviews of their games — which she had denied doing. She has since admitted her threatened lawsuit was “a mistake”. The GMAs shouldn’t exist. By rights, that room should be full of people who feel uncomfortable in each other’s company. PR people should be looking at games journos and thinking, “That person makes my job very challenging.” Why are they all best buddies? What the hell is going on? Florence’s article sparked a very large discussion, even before the censorship controversy gave it a larger echo, with articles all over the internet. 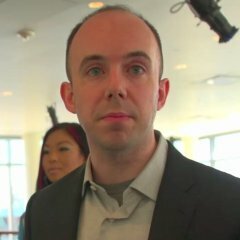 Kotaku editor in chief Stephen Totilo, when he was asked about coverage of the topic, dismissed the entire affair as “not important” and the same old “tired nonsense”. 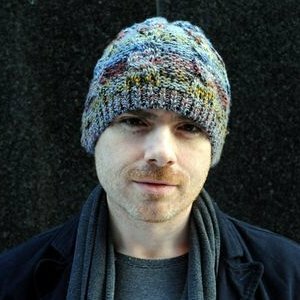 He thoroughly apologized after receiving some scathing criticism, and proceeded to write an article addressing the long-standing accusation of being “too cozy with the game industry” faced by the press, which, he admits, operates at what would appear to outsiders as “the brink of bribery”. He concluded that “criticism of the gaming press is so common it can become white noise”, and that valid complaints are mixed with “a sea of misreadings”. He is confident that, counterbalancing the too many press releases masquerading as news, there is a lot of good reporting, and he was hopeful that there would have been more in the future. We need a subversive, alternative games media that completely rejects the PR relationships that we've been instructed to believe is essential to games coverage. The "good journalism" Totilo hoped for hardly ever becomes the news itself, so it’s hard to tell if after DoritosGate there have been improvements — on the other hand, scandals certainly haven't subsided. The advertising issue also kept popping up, with a carpet of advertisements often preceding and following a game’s positive review — in the case of Mass Effect 3, even prompting the reviewer to go on the offensive against the audience for disagreeing with his lavish evaluation, sparking attacks on “entitled” gamers that may also be attempts to cater to publishers and sponsors. Two years after Doritosgate, issues of conflict of interest came to light involving personal and financial relationships rather than sponsorship, and criticism of the gaming press gained extreme visibility with the colossal, still-ongoing consumer revolt rallying around the GamerGate hashtag.